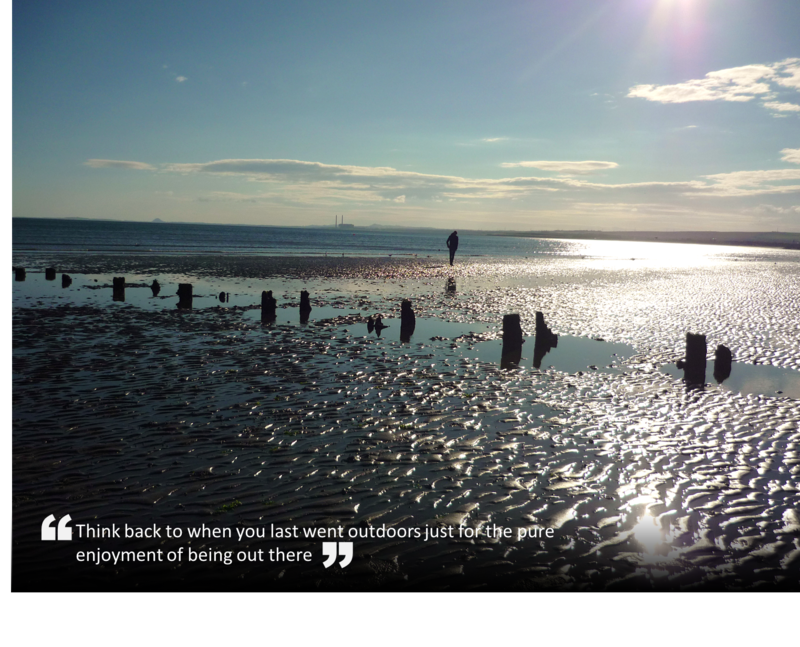 Think back to when you last went outdoors. Not just to make your way to the car or the bus, but really went outdoors – just for the pure enjoyment of being ‘out there’ in the environment. Our guess is that many of you won’t be able to answer that question. Nowadays we are so confined to an urban environment and so wrapped up in modern day living, that we’ll often spend 90% of our time indoors. We tend to restrict the ‘pleasure’ of really getting outdoors and into the landscape just to our holidays and getaway destinations. Surely this is not a good place to be, our minds and bodies need a regular connection with nature and we’ll explain why. Time after time studies show the benefits that ‘green’ space bring to both our mental and physical wellbeing. But it’s not just ‘green’ environments that work, it’s the ‘blue’ ones too – down by river, on a beach by the sea, by a lakeside shore, or just being out under a big sky. So why does it work? Why does nature reduce our stress levels and rejuvenate us and generally make us feel happier and healthier? Modern day living, requires us always to be on the go, spending most of our lives busy working and commuting, with the additional stresses of running a home and caring for our families, leading to very hectic lifestyles. On top of that our time we’re bombarded by information which demands our attention. However it’s proven that just by being in nature, or even just viewing scenes of nature, it does help us to de-stress. Its positive effects on the body can be noted within just 10 minutes of being in a natural space. It’s believed that nature scenes require a different type of attention (known a soft fascination), which allows the other areas of our brains to relax, changing our thought patterns and giving us chance to recharge our mental batteries. Urban environments are of course not our natural habitat, they are a relatively recent feature of our evolution. Although for some, city living can seem fast paced and exciting, it really lacks the novelty and intrigue that we require (and our brains need) to stretch and stimulate our imagination. Conversely natural landscapes are so rich in diversity. Visually they provide a vast array of so many vivid colours, shapes, patterns and forms, whilst at the time providing countless other sensory stimuli – they’re filled with sound, smells and different textures. These make us appreciate the wonder of nature and allow us to experience the joy of living. We all know that staying fit and active is important to our health – and important for illness prevention. Getting down to the gym can obviously be beneficial, but spending hours on a treadmill, generally won’t be as rewarding, nurturing, satisfying and make us feel as good as a walk in a natural landscape – so why not just get ‘out there’ and use nature as your green gym?